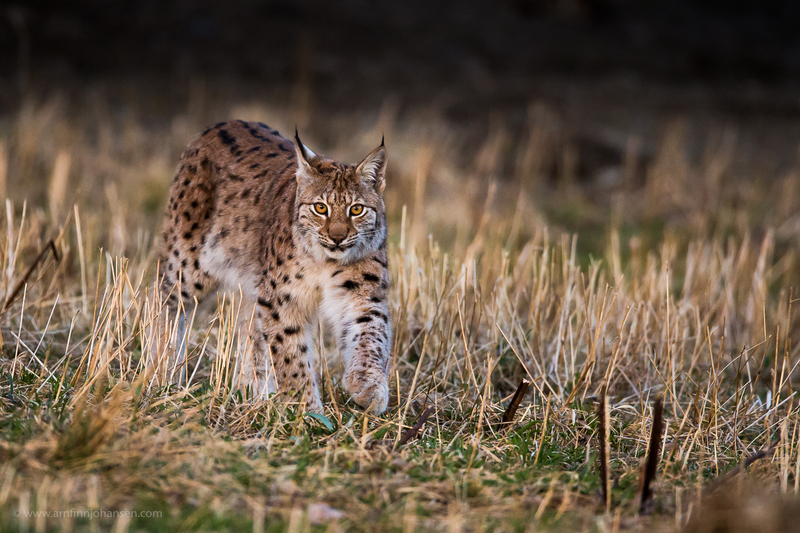 One week ago an old dream of mine came true: I saw my first wild Norwegian Lynx! And even better than that, I got to photograph it in nice light as well! Normally these animals are extremely shy and people rarely see them. That is not very strange since they unfortunately have been hunted on for all times – and still are – even though there are only as few as approx 350 individuals (59 family groups winter 2012-2013) in whole Norway! 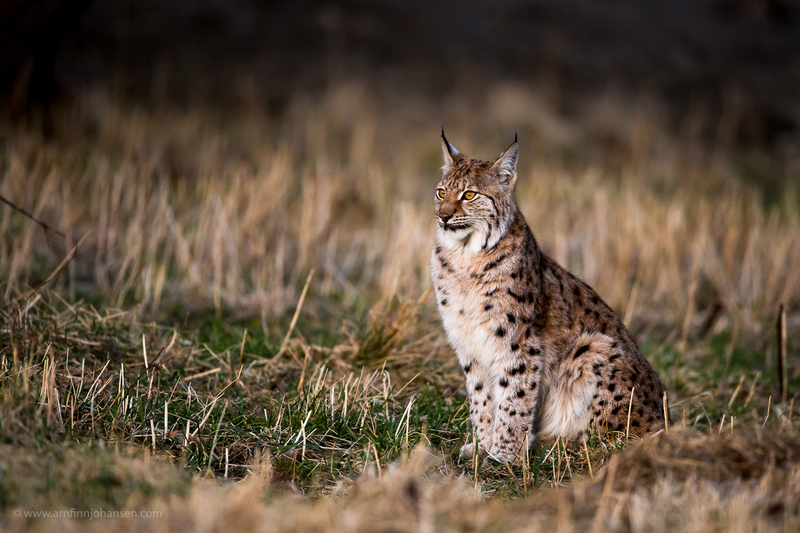 That also means the national goal of 65 lynx breedings per year (!) was not reached last year. Therefore I am sad to say I am not very proud of even the ambitions or results regarding the Norwegian predator politics in special and wildlife conservation in general, and that is also one of the reasons I support WWF to help make a positive change. I hope you do too! 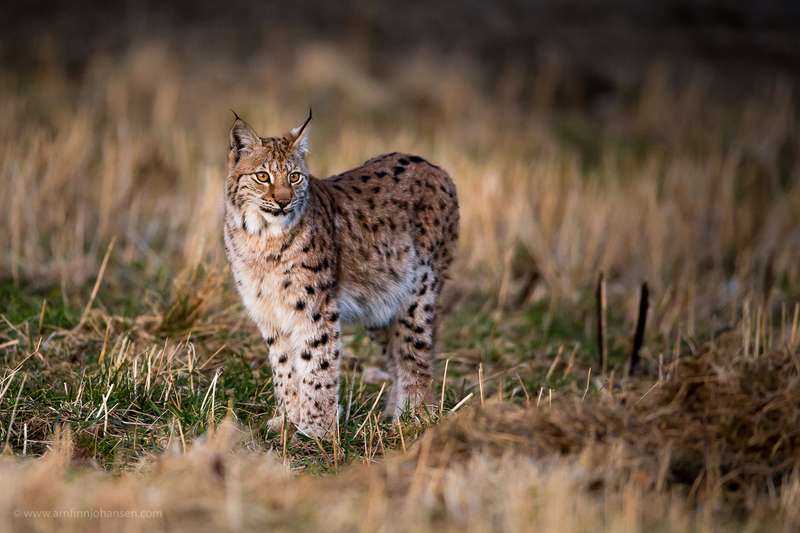 Nevertheless, this male Lynx had taken a roe deer close to a farm, and he visited the kill many nights on row for feeding. He usually approached in late night, but one evening he came early in nice light. 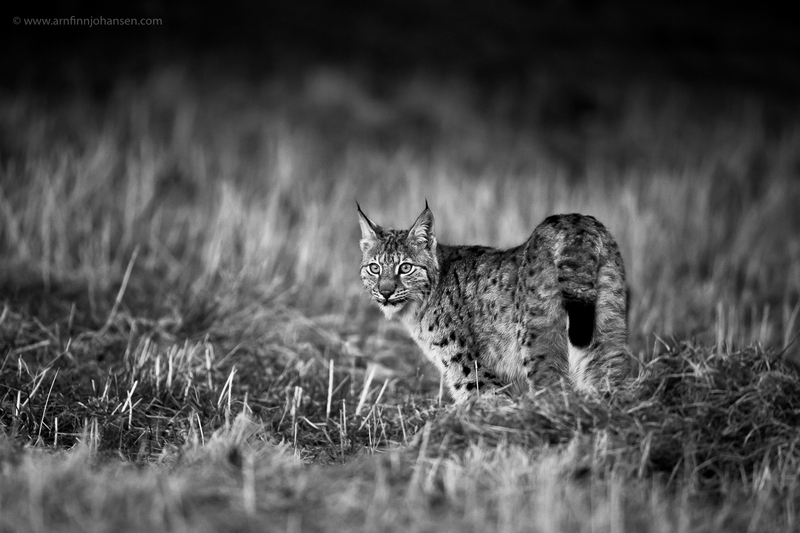 That evening for one and a half hour we were lucky having this magnificent wild cat exposing his natural behavior in front of us as close as 20 meters from our blind. A friend of mine named Terje Sylte has been working systematically with lynx for many years, and thanks too him I had this unique experience. Below is a collection of images from the best night with the Lynx. Please click on the images to enlarge and leave your comments below if you like. Also feel free to follow and share my work on Facebook as well. Nikon D4, Nikkor 600/4 VR, 1/500 sec at f/4. ISO 5000. Nikon D4, Nikkor 600/4 VR, 1/500 sec at f/4.5. ISO 6400. Nikon D4, Nikkor 600/4 VR, 1/500 sec at f/4. ISO 5600. 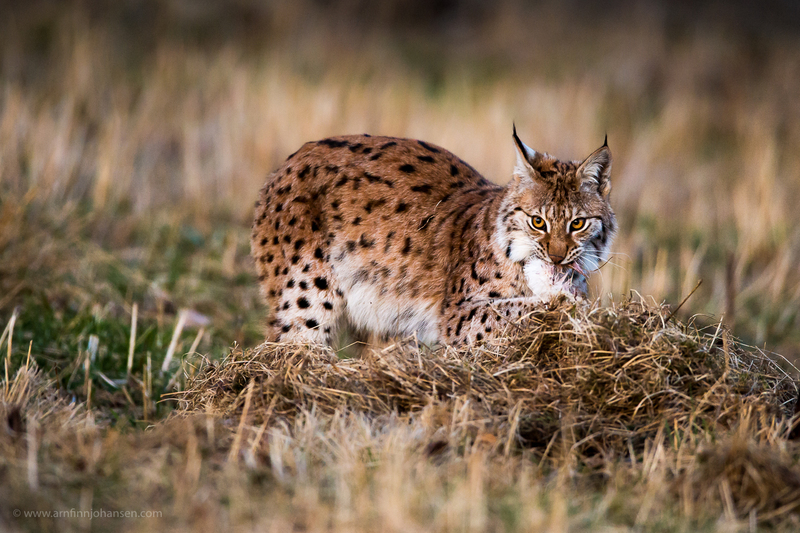 #6 Wild Norwegian Lynx feeding on a Roe Deer kill. Nikon D4, Nikkor 600/4 VR, 1/500 sec at f/4. ISO 6400. Stunning Cat and Image. its beautiful. im sure it was a moment that you will not forget. great work. Absolutely brilliant Arnfinn ! 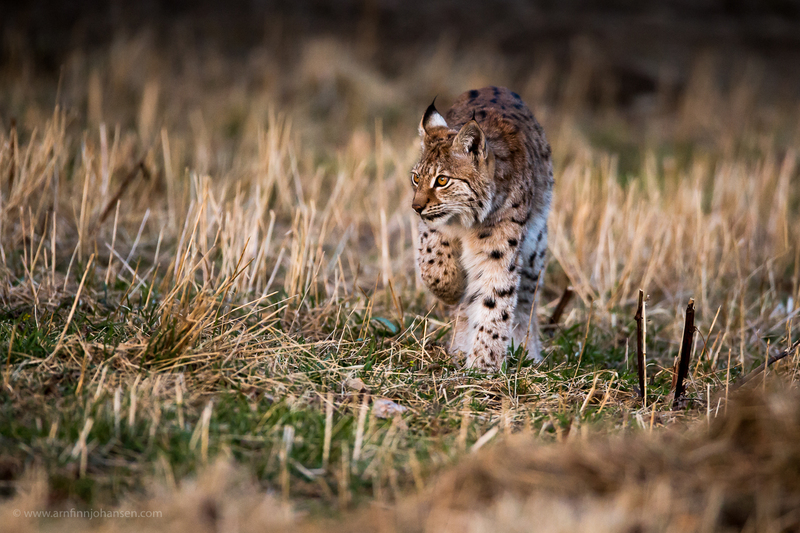 Best shots of lynx in the wild i have seen, really proud of you. Cheers again Arnfinn,lovely shots of this beautiful animal. Grattis med fantastisk flotte gaupebilder. Utrolig klare og skarpe bilder på høy iso. Hvordan får du til det? Gratulerer med fantastisk flotte bilder av vill gaupe. Jeg synes den i svart hvitt ble ekstra fin !!! Jeg kommer ALDRI til å tilgi meg selv for at jeg reiste hjem på feil tidspunkt !! how really FANTASTIC, Arnfinn – it\’s a beautiful cat and I do hope they begin to thrive in all that space you have.. could do with more in Scotland to sort out all the deer..